The HTC RE is the kind of camera that doesn't come with a viewfinder. Similar to GoPro's action-oriented video recorders, the RE is something that you wear while doing something active or hold pointed vaguely towards something of interest. 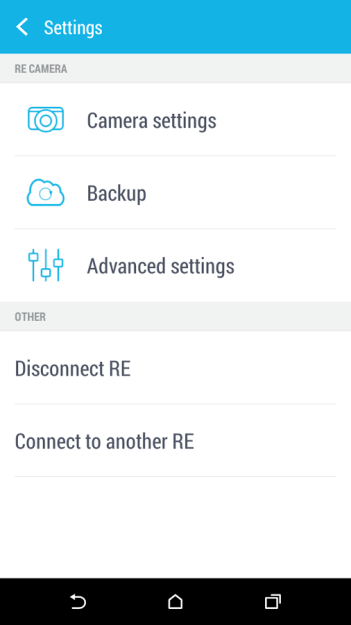 The RE doesn't require a paired device to work, but if you really need to see what the device is picking up, you can turn to the companion app. HTC has dropped it into the Play Store for users to install on their smartphones regardless of make or model. 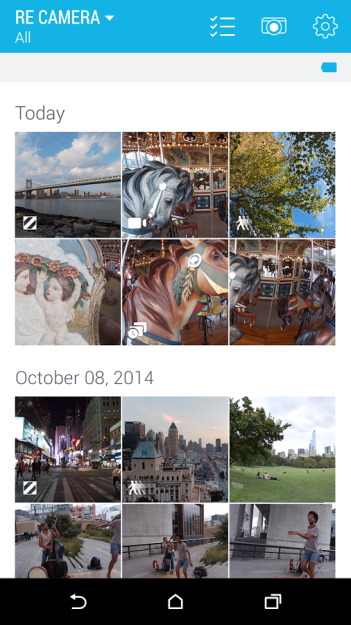 The RE app is your hub for both following what's on your camera and looking at previous content that you've captured. From here, you can share the photos and videos to other locations. 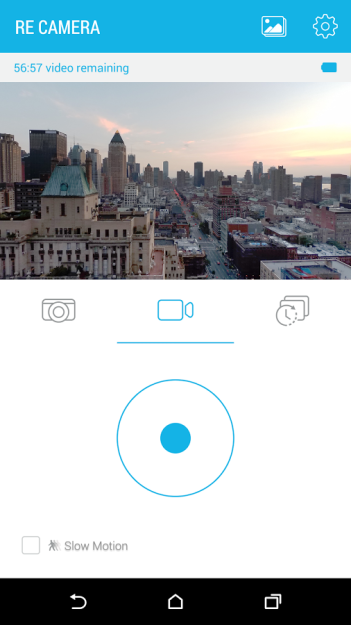 As for recording, you can switch between photo and video modes with just a tap. If you don't have a tripod, have fun dual-weilding the RE and your phone at the same time. Or you could just tape them together or something.